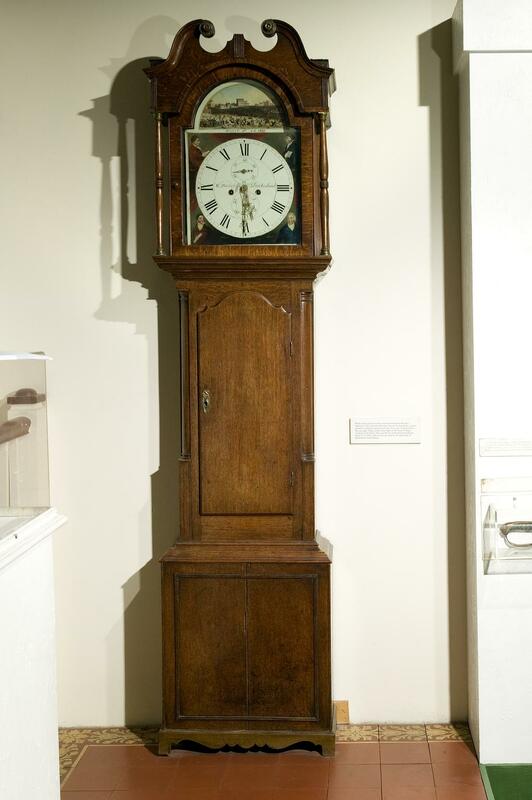 Longcase clock commemorating the Peterloo Massacre of 1819, made by W. Stancliffe, Barkisland. 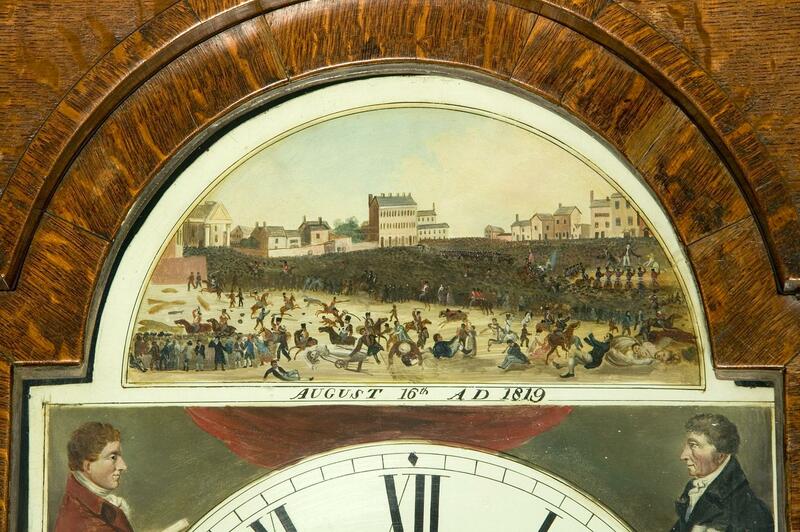 This longcase clock commemorates the Peterloo Massacre of 1819. The scene in the arch is based on an engraving of the event which was published in the Manchester Observer on 23 October 1819. The corners of the face contain portraits of four famous radical activists; Major John Cartwright, William Cobbett, Thomas Wooler and Henry Hunt. The clock was made by W. Stancliffe of Barkisland, near Halifax. The Stancliffe family were clockmakers there from the mid-1700s.